After an intense week, another victory for FC Barcelona Lassa as they overcame Castelldefels 3-2 away from home in the last 32 of the Copa del Rey. Goals from Aicardo, Quintela and Roger Serrano put Andreu Plaza's men into the last 16 of the competition as they dominated the game against a spirited home side. Barça went ahead after 11 minutes through Aicardo with Quintela doubling the visitors' advantage just seconds later. Castelldefels missed a penalty before Aubach pulled one back. Their joy was short-lived as Roger Serrano made it 3-1 to the blaugranes on 16 minutes. 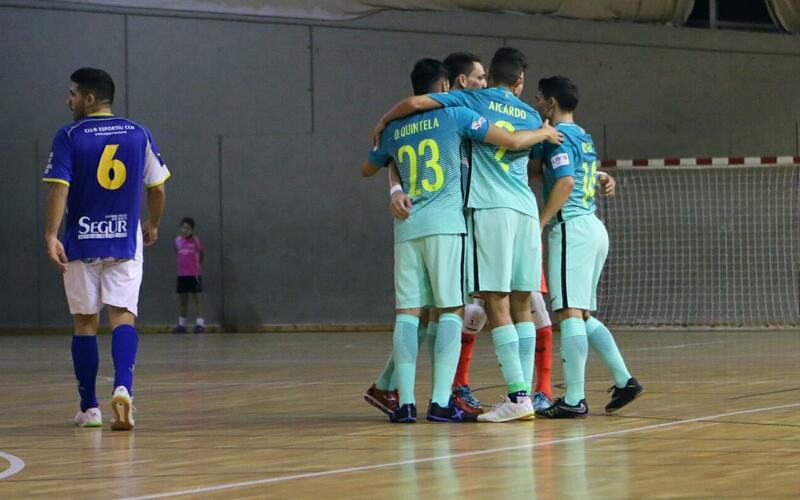 In the second half Castelldefels came out figthing and Mármol made it interesting at 3-2 not long after the restart. Nevertheless, Barça continued to control the game and Aicardo and Rómulo came close to adding a fourth before the final whistle came with Plaza's team safely thorugh to the next round.